Problem. Once more bring the official company website into conformity with new guidelines. 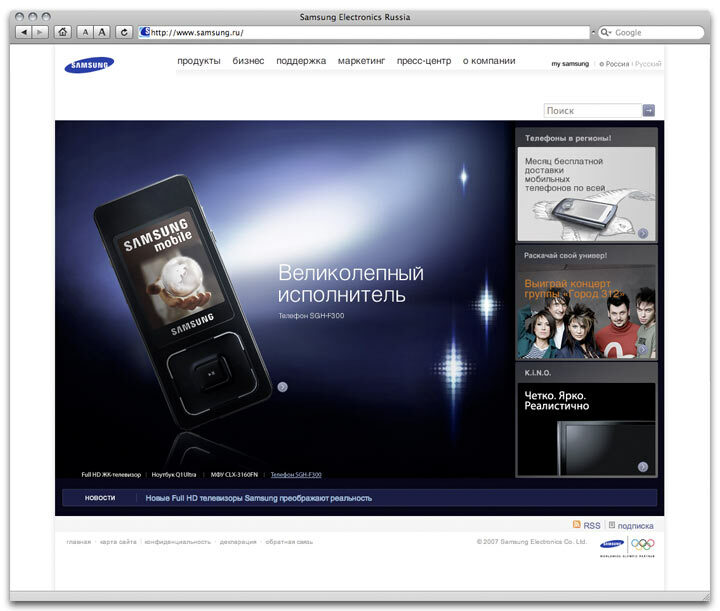 Samsung Electronics is involved in developing the newest technologies and is one of the worlds largest producers of computer goods, white goods, mobile phones and media. The site provides detailed information on its products and business in Russia.